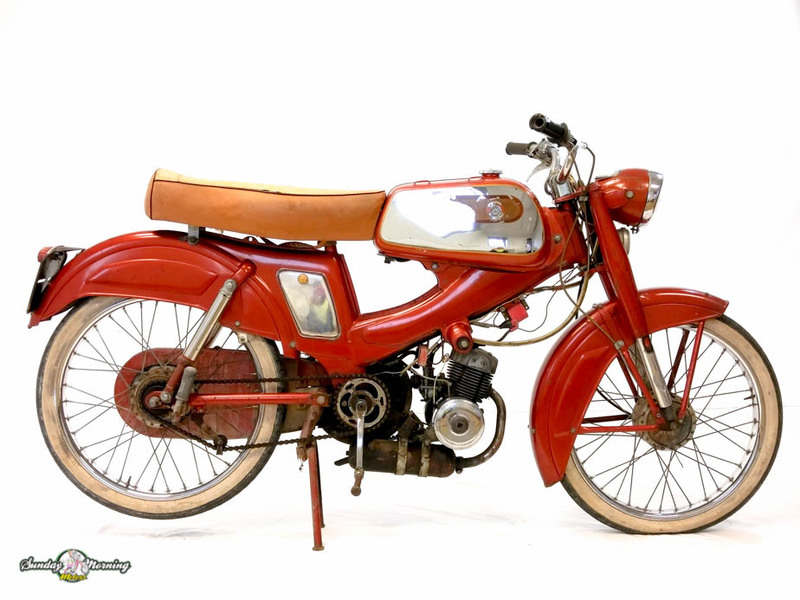 This 1962 French Motobecane Speciale (SPR) moped would make an excellent restoration project. 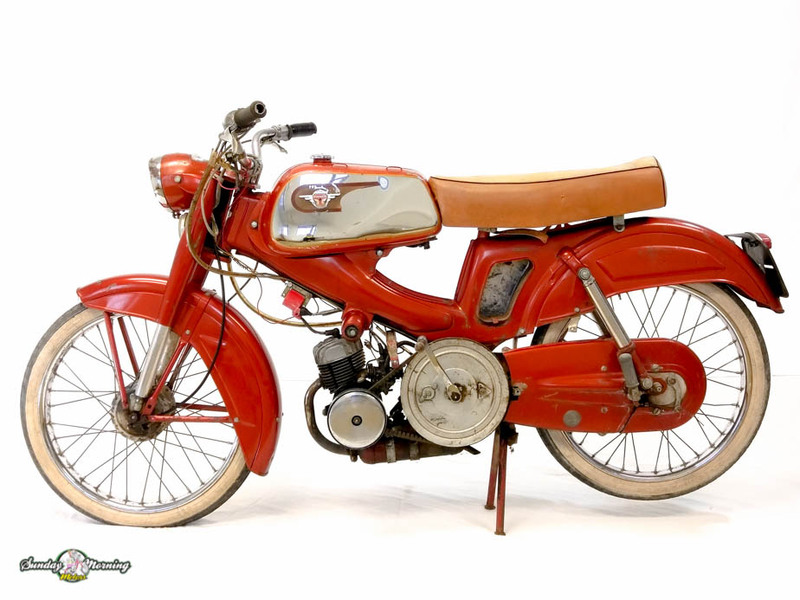 The designation SPR stands for Speciale-Road and features an extra large 8 liter gas tank, full length seat and folding rear passenger footrests and styling you just can’t find on very many vintage European mopeds. It is missing a some pieces including the lower covers. What is there is in good to excellent condition including the gas tank, wheels, seat, tail and headlight, handlebars, controls, etc. The right hand pedal crank has been welded to the pedal so it will need to be replaced. Most of the chrome is in good and presentable condition but it will not polish to show condition without replating. The AV88 engine does run strong and idle smoothly but the original Gurtner carb has been replaced with a Mikuni. The previous owner claimed a top speed of close to 40 mph but we are unable to test ride the bike due to flat and worn out tires. The transmission variator and belt pulley move smoothly and operate as was intended. This Builders Stock moped will take some time and parts to get it back on the road again but could easily become someones prized possession.